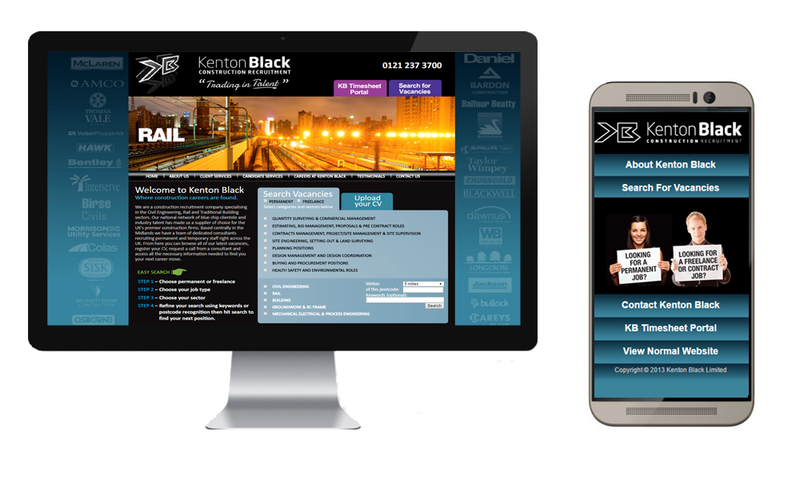 Kenton Black are a construction recruitment company specialising in the Civil Engineering, Rail and Traditional Building sectors. Our national network of blue chip clientele and industry talent has made us a supplier of choice for the UK’s premier construction firms. This web site was designed to brief by our Associates Thinck Creative and is fully bespoke with our own CMS powering the site. Kenton Black’s team can manage jobs through the CMS and candidates can upload CVS and download key data sheets from the site. We wrote a separate Web Application for mobiles which allows the key features of the site to be used on the go by candidates and job seekers alike.